1. From the Reports Menu, click Payment Search. 2. 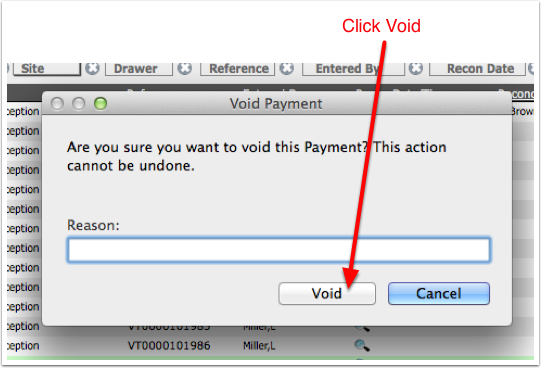 On the Payment List, click the red Void button on the far right for the payment to be voided. If the Void button is not visible, the user does not have the proper PRIV. 3. 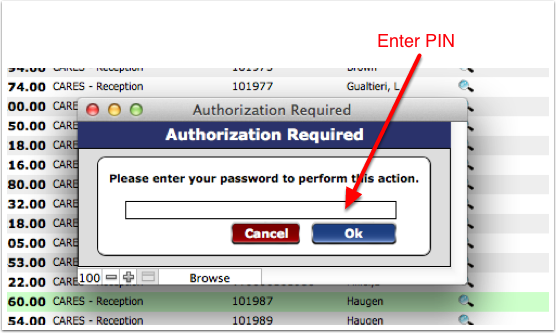 Enter your user PIN in the authorization box. 4. Enter a Reason and click the Void button. 5. The voided payment will be removed from the invoice(s) and it will be marked VOID in the payment list. 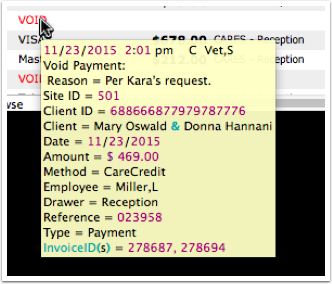 Details can be viewed by hovering over the word “VOID."